I'm always on the lookout for quick ways to do my eyes. 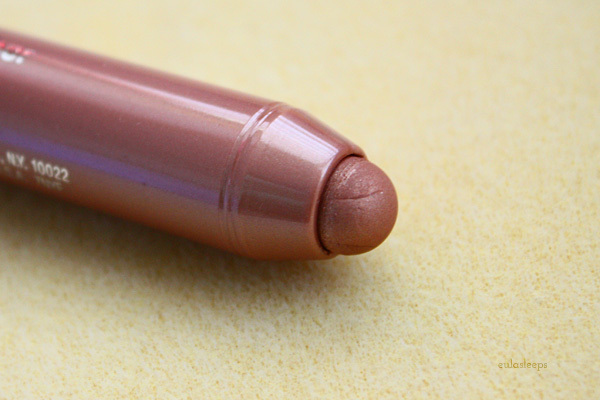 Clinique Chubby Stick Shadow Tint for Eyes is a cream-to-powder formula in a convenient pen shape. A great concept, but does it deliver? Packaging is exactly like the Chubby Stick lipsticks, very cute. These shadows come in 12 colors. I wanted something for everyday use, a quick wash to brighten the lids. So I picked up 04 Ample Amber, described as a “bronze pink" that actually looks more like a muted copper. Here is it applied on the lid, with a matte dark brown on the outer corner. It's a very lovely shade, albeit slightly frostier than I'd like. But I have issues with the formula. 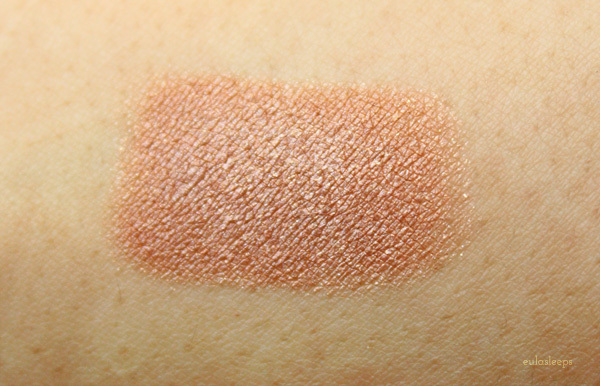 This is more a powder in stick form than a cream shadow, really. 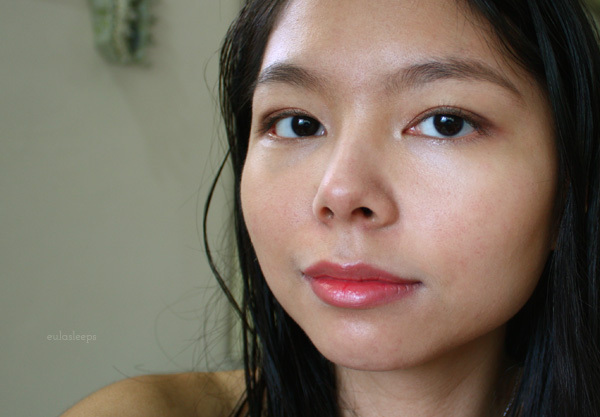 The texture is too hard to apply color evenly, tugging on my lids rather than gliding across. 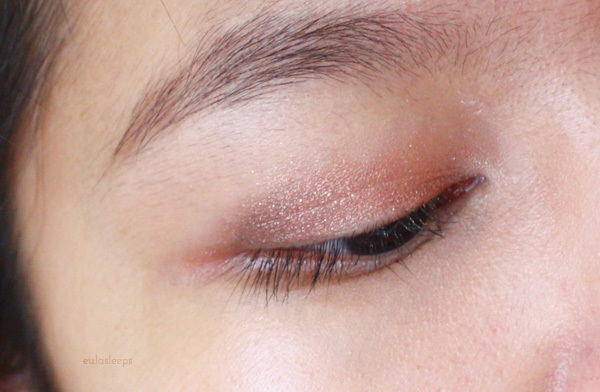 The shape is a bit too chubby -- I can't get into my inner corner without making a mess. 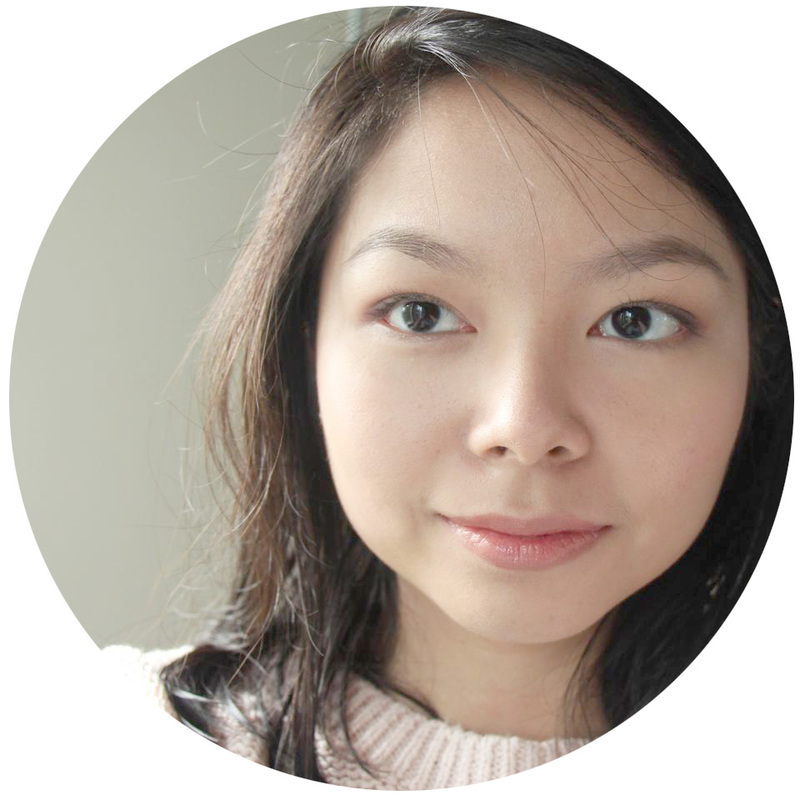 It's also tricky to blend and creased within an hour on my oily lids (no primer). I must tell you though that I used this in drier air and it seems to fare better in the humidity of the tropics. 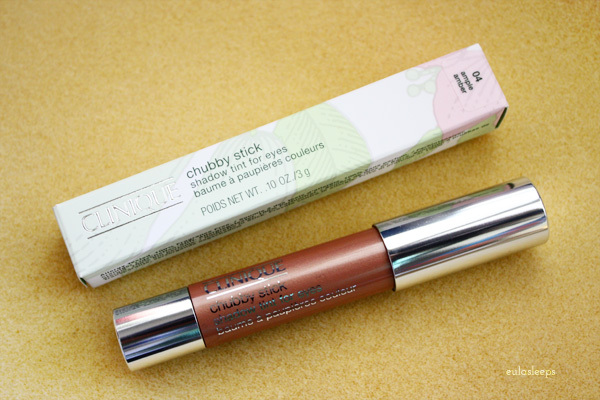 Clinique Chubby Stick Shadow Tints for Eyes retails for $17 USD in Sephora and Clinique counters; PhP 920 in the Philippines.